Adopting a dog this Easter can lead to many unexpected and wonderful changes in your life. From learning what you really adopted was a cherished best friend to gaining a new exercise routine that puts you on the path to better health, you will value making this decision with each happy tail wag and excited wiggle. Read on to learn more about how dogs are an Easter gift that will bring your friends and family closer and enhance your life in numerous immeasurable ways. Adopting Means Choosing Your New BFF! Even those of us who are not known for our public displays of affection can appreciate the adorable grins and soft furry cuddles dogs that greet us with each time they see us. It does not matter to a dog if you messed up at work or got upset this morning over the torn up pillow in the guest room. They wait each day with the same eager anticipation for you to walk in the door and give them attention. Once the bond-building evening walk or run, play and feed times have passed, it is time to settle in for chill time with your best friend. Why would we call your dog your "best friend"? When you adopt a dog that fits with your personality and lifestyle, you are adopting a friend who will always be loving, loyal, and comforting. Your dog will never say things to make you feel bad like how that shirt you love with the holes in it should be tossed out. He will defend you, admire you, and amuse you with his many talents. Happy Trails Lead To Happy Tails! But wait, let's go back to those important bond-building moments. Did you know those exercise, play and feeding routines are not just beneficial for your dog? We humans can easily get derailed in our efforts to keep our New Year's resolutions to get fit by summer with a rainy day that keeps us from walking or a day of rest that turns into three days followed by a month. The struggle is real, but knowing you have to walk your dog for potty breaks, play and exercise, regardless of the weather, actually helps you stay on track with your health goals as well. Plus, with some consistent training, he will be a willing running or walking partner you will want to bring to every outing. This can lead to making new friends at the park with other dog owners or introducing you to that cute girl or guy you have seen in your neighborhood yet have never had the courage to approach before. True, your enjoyment level during these excursions increases dramatically with some patient and repetitive training techniques. However, even that 20 minutes of daily training time is a bonding moment where your dog learns to watch your body language and you come to know more about your dog's hidden talents and personality. Speaking of talents, did you know your dog can do more than just "sit", "stay", "heel" and "fetch"? What other animals can perform those things on command, let alone add more to the list? You can train your dog to become a therapy dog, play games, or run through agility trials. The bottom line is he wants to please you, his pack leader, master, and friend. His only payment for his never wavering interest in you and what you want to do is a regular routine of feedings, walks, playtime and cuddles. Since these things force humans to get moving more and just petting a dog has been known to have significant health benefits, one could say deciding to adopt a dog is linked with extending one's life. Adoption Could Not Be Easier! You may be convinced a dog adds so much value to your life that you are willing to adopt, but you are unsure of how to go about finding the right dog for you. We are happy to help! Unfortunately, many dogs are adopted for their looks or size as opposed to their personalities. This can result in an unhappy match for all involved. The great news is finding a match for your personality and interests is as simple as going on our adoption page to scroll down through all our available dogs waiting to meet you! Once you see a dog that interests you, click on the dog's picture to view notes we have made. For example, each dog's profile will display notes on temperament, any health concerns, whether or not that particular dog gets along with other pets or young children, and if the dog is house trained. This can give you some useful insight during the selection process. Finding A Trusted Caregiver Is A Breeze! Now that you have a new BFF, you might be worried when you work late or cannot get home at lunch to let him or her out. No worries! Sites like Rover.com link you to background screened and well-reviewed dog lovers in your area who would look forward to hosting your dog at their homes or making house calls to your home for feeding times, walks, or playtimes. 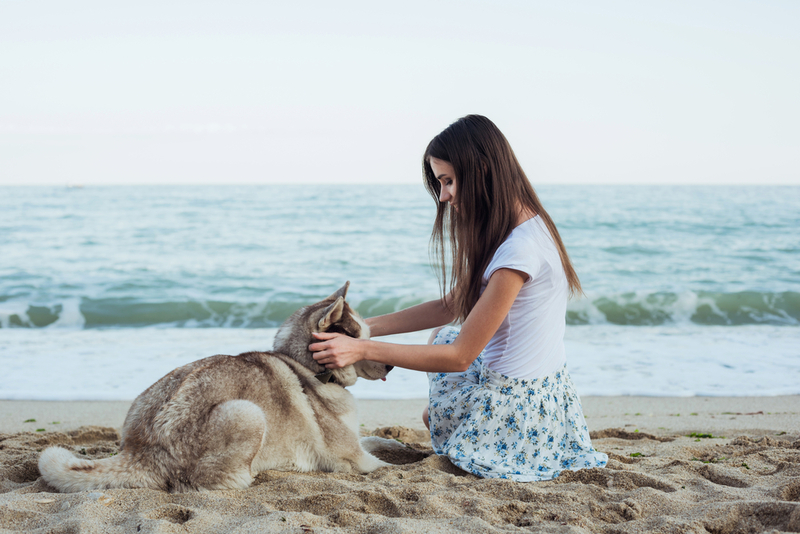 While it may be that dogs are mostly happy about the chance of receiving pets, praise or food, we know there is a growing connection that develops between a dog and an owner that goes much deeper than routine walks, tennis ball games, and treat time. Well, maybe not treat time because that is asking a lot! But, this friendship is certainly one that develops over time, and we cherish it in our hearts. If you are interested in learning more about adopting or fostering our dogs this Easter or anytime, visit our adoption page or contact us to ask a question. Who knows? The ideal Easter buddy might be in our list of rescues waiting to meet you right now.